Six years of magic, adventure, and mystery make this luxurious boxed set the perfect gift for Harry Potter fans of all ages. Follow Harry from his first days at Hogwarts School for Witchcraft and Wizardry, through his many adventures with Hermione and Ron, to his confrontations with rival Draco Malfoy and the dreaded Professor Snape. 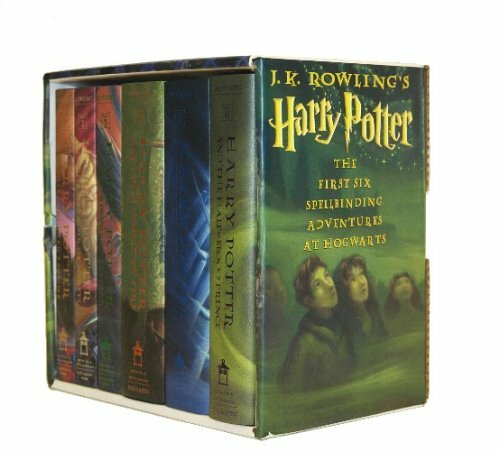 From the thrilling search for the Sorcerer's Stone to the Triwizard Tournament to the return of He-Who-Must-Not-Be-Named, each adventure is more riveting and exhilarating than its predecessor, and now all six books are available together for the first time in an elegant hardcover boxed set.